What do you think of when you think of summertime food? For most people, it’s stuff like barbecue, burgers, corn on the cob, potato salad, popsicles, and ice cream. 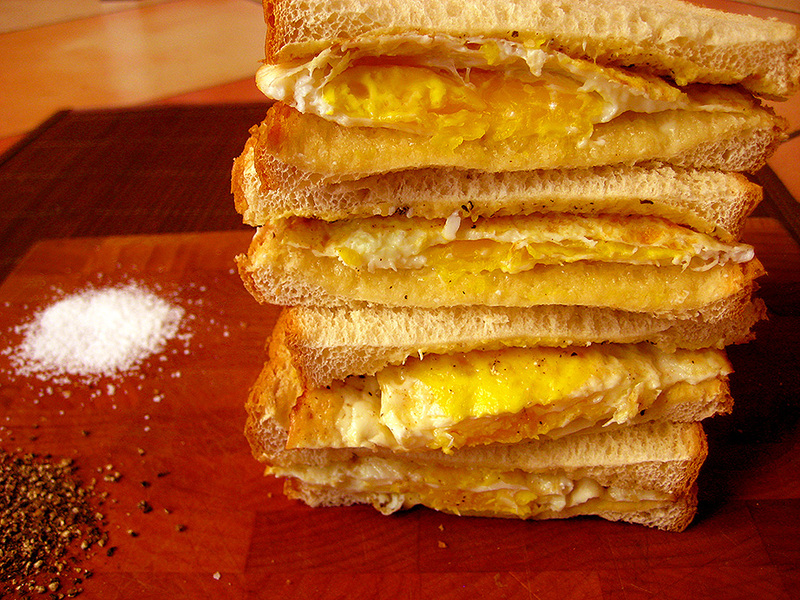 I think of those things too, but I also think of this fried egg sandwich that my stepmom would make for us all. Sometimes it was breakfast, but often times I remember eating it for lunch. 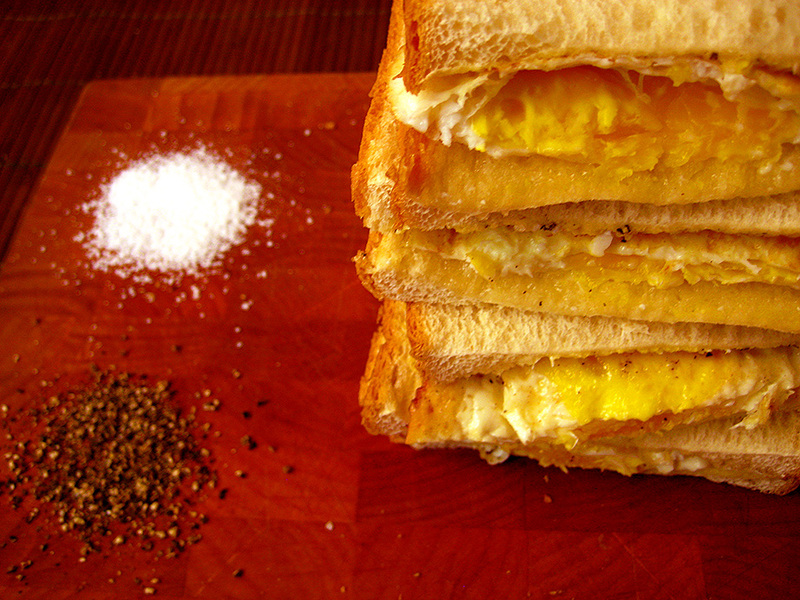 To this day, I haven’t met anyone else who makes a fried egg sandwich quite like this one. Soft sourdough bread (toasted? don’t even think about it!) slathered with mayonnaise and lots of Grey Poupon, salt and pepper, and all crowned with a sizzling fried egg. Try it. You’ll like it! In a small skillet on medium-high heat, melt your butter. 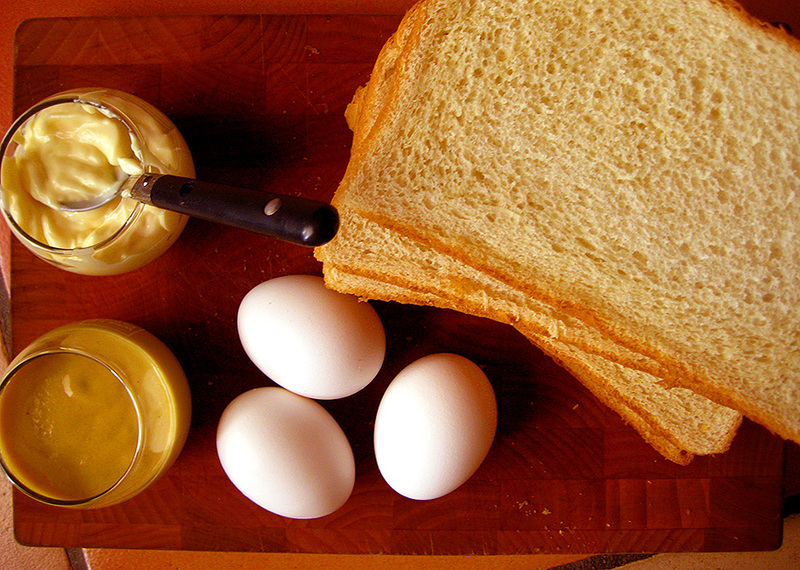 When it’s hot, cook one egg at a time in the melted butter for a few minutes. I like to break the yolk so it cooks firm cause I’m not a fan of runny yolks. 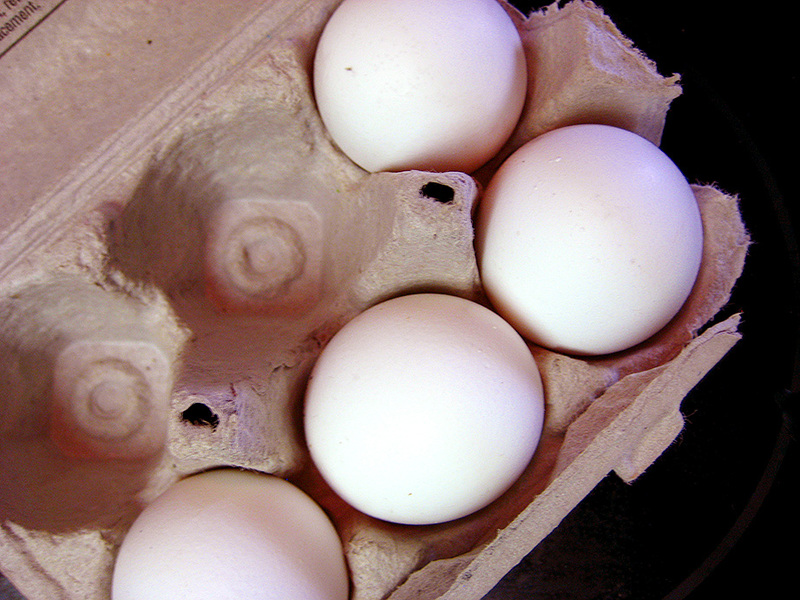 If you dig on runny egg yolks, skip this step! 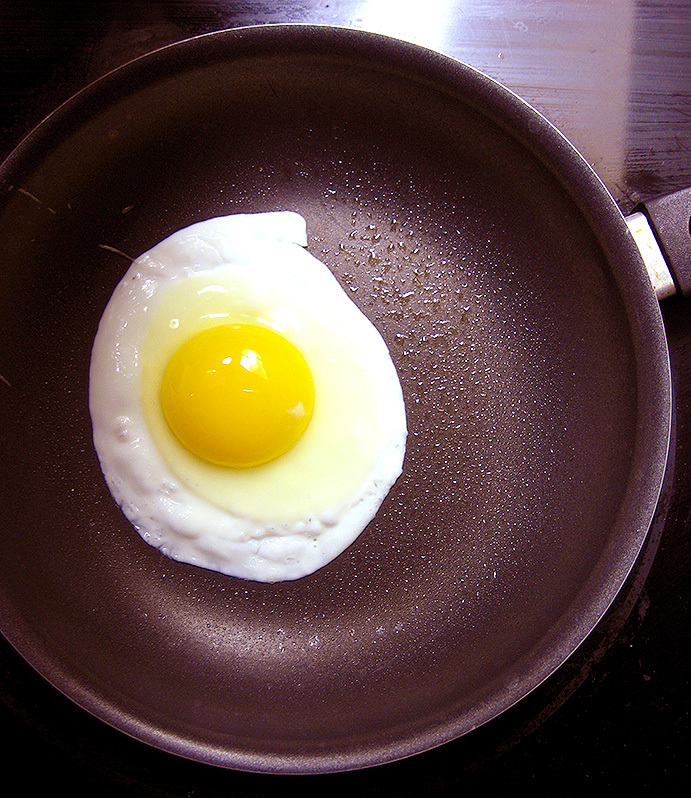 When the first side is cooked, flip your egg over and cook for a minute or 2 until it’s cooked to your liking. 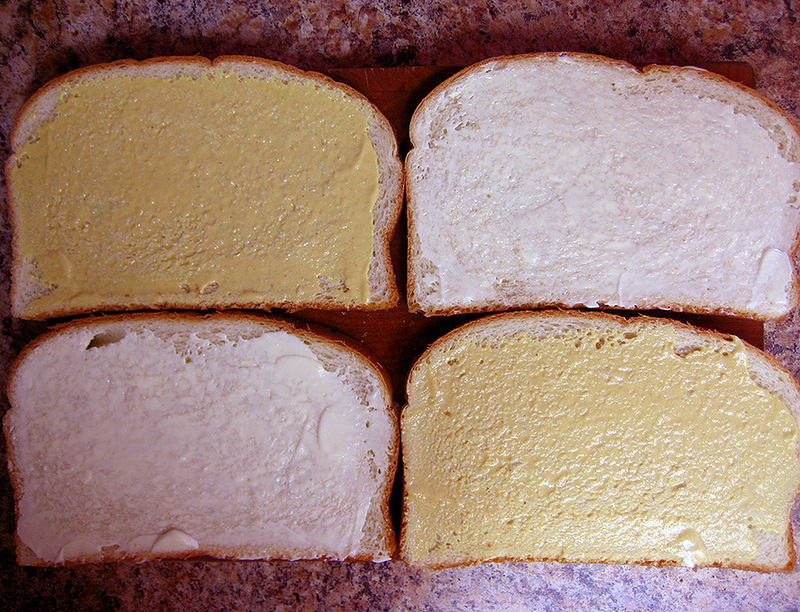 Spread two slices of bread with 1 Tablespoon of mayo each, and the other two slices with 1 Tablespoon each of mustard. 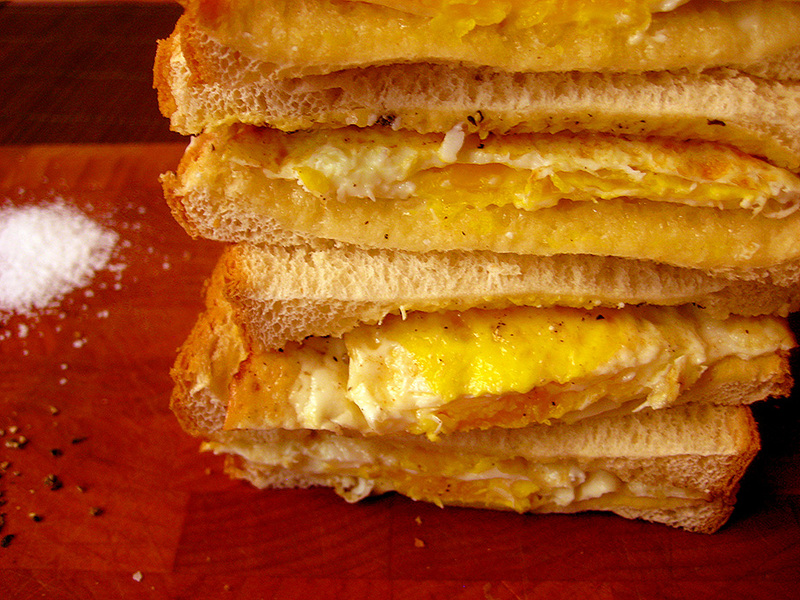 Once your egg is cooked, put it on one of the slices of bread, and cook your next egg. 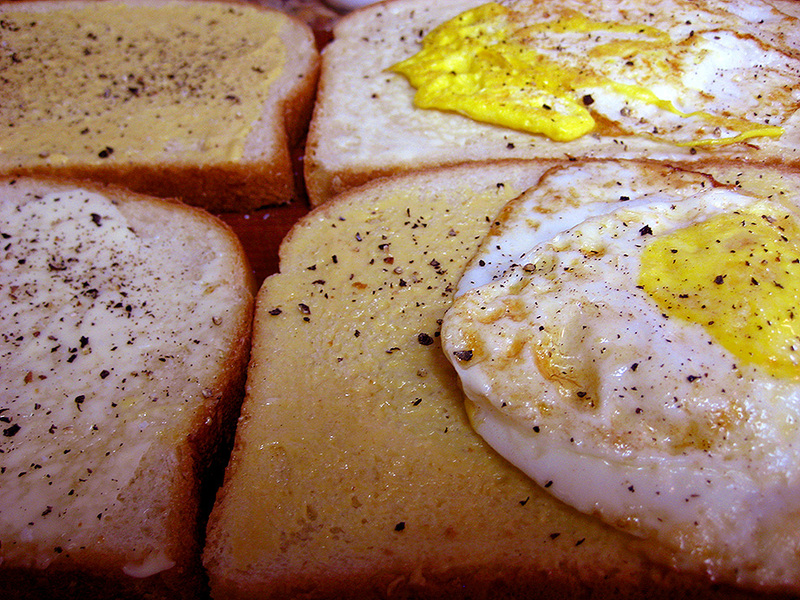 When that egg is done how you like it, put it on bread slice number two. 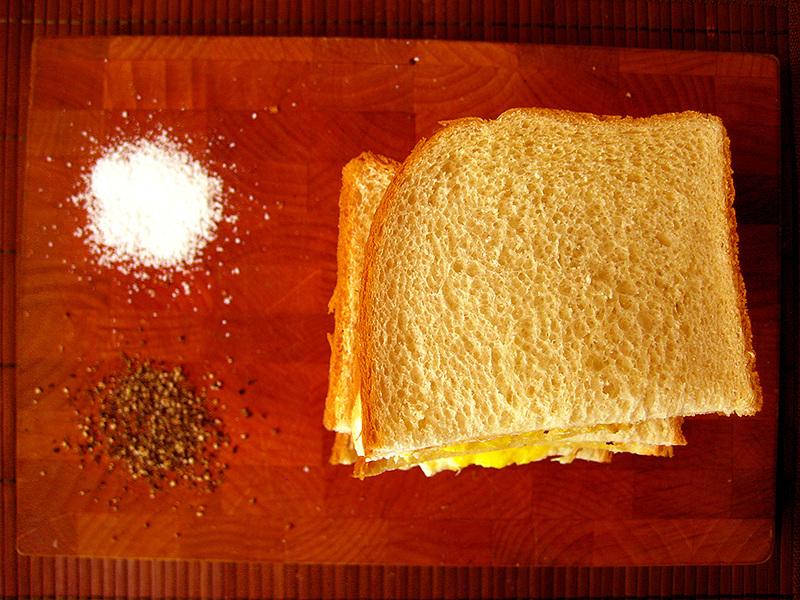 Top each half of each sandwich with a sprinkling of salt and fresh ground black pepper, top the egg with it’s other piece of bread, and cut each sandwich in half. Now, you know what to do — scarf ’em down! Feel free to share the second sandwich with a friend, if you’re feeling generous (or just not that hungry).